Saturday, October 27th is the next DEA Take Back Day event in which police departments throughout the county will accept unwanted, unused, or expired medications, between the hours of 10am and 2pm. 3rd Annual CoCo EMS Survivors Reunion. Our Contra Costa 2020 learning session is a day of learning and sharing for CCHS staff, partners and community members. This year’s learning session will focus on person-centered care and how the concept can be applied throughout our department and to all of our work. The event features speakers from the Institute for Patient & Family Centered Care and highlight innovative health partnerships across our system. Housing in California: how to survive the housing crisis & save our neighborhoods! Living expenses in California continue to increase, while most of our wages stay the same. Many hard working folks find themselves struggling to make ends meet. Come hear from local experts about opportunities this election to create more fair housing. Join Lift Up Contra Costa and Ensuring Opportunity to learn how you can advocate for your housing rights as a resident of Contra Costa County. Join Ensuring Opportunity Campaign and East Bay Housing Organizations to learn about state Propositions 1, 2 and 10 - the biggest opportunity in decades to make California more affordable, now and for generations to come. We’re also providing voter registration and dinner! 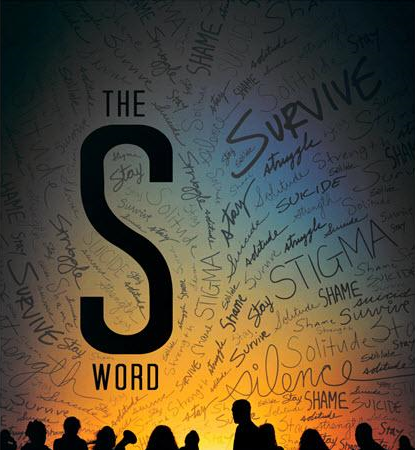 Free Screening of "The S Word"
Monday, September 17, 6 p.m. - 8 p.m.
"The S Word" digs deep into the personal perspectives of people who survived suicide attempts, and the loved ones of some who did not survive. A guided discussion with the Director, Lisa Klein will follow the viewing. See other scheduled viewings. Our Behavioral Health improvement team spent four days engaged in an intensive "rapid improvement event" looking at health access at the East County Adult Mental Health Clinic. This will be the report of findings and recommendations.